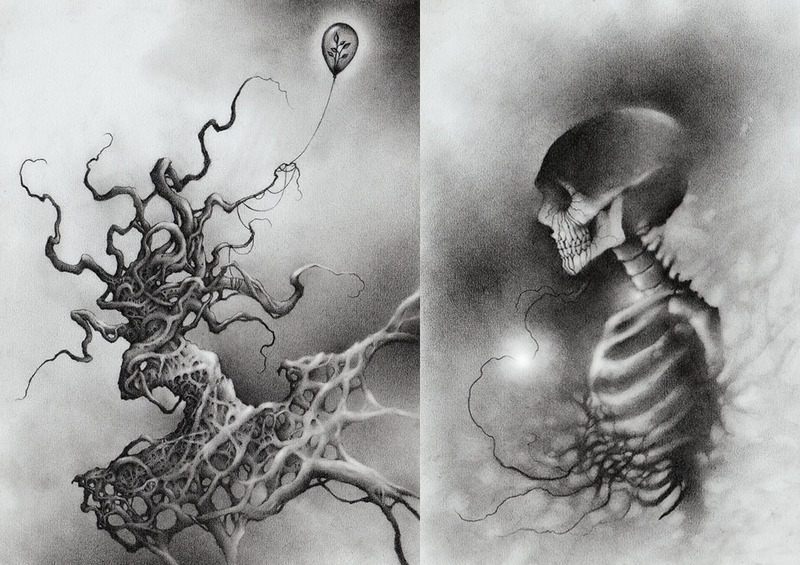 Brandon Stewart is creating stories, drawings, and other arts. My name is Brandon Stewart. I'm the guy a little to the left in that circle. Father. Artist. Lover of Star Wars, Star Trek, and Indiana Jones. A conscientious observer of the 80's. With my first incarnation of this Patreon I was too broad in my artistic scope. I never knew what to post and couldn't get focused on any one thing. What I want to do now is make my Patreon STRICTLY about the project I'm currently working on. It's every artists dream to produce a book of their work. So that's what I'm going to do. I've done a few small sketchbooks, but never anything of this magnitude. I'm looking to do a full, super glossy, incredibly fancy, maybe even hardcover book that collects all the graphite work centering around my fears and anxieties. All work is a reflection of that specific moment I have anxiety or a panic attack. Like millions of people, I have moments of panic and anxiety and as many of you know, there are times when it gets in the way of normal life. Anxiousness can feel like nervousness before an important test OR it can feel like waiting to be executed. In either instance, art is how I combat those feelings. Over the years I've learned that the key to correcting anxious feelings is by getting them out of my mind by whatever means possible. Sometimes it might be a few words scrawled on paper, or more typically, it's drawing. At this time, I'm tentatively calling this book IF THERE'S A WAY OUT. I'm imagining it (for now) as a soft cover book measuring 8x10" and in the 120 page range, filled with sketches and fully rendered drawings done when my anxiety is high. Sometimes I write my thoughts down when a panic attack hits, so I'll also include those alongside the drawings. 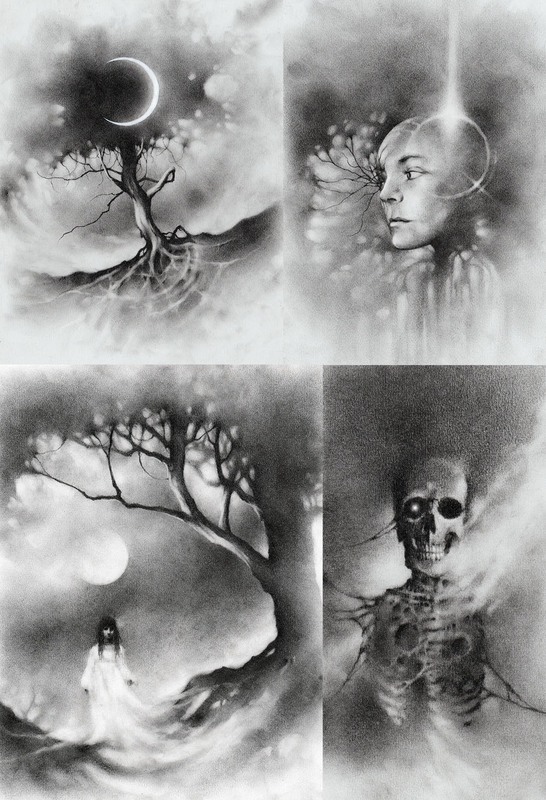 Think of this as a Scary Stories to Tell in the Dark (remember those books? ), but with the uncomfortable and honest feelings that life can bring. My goal is to have the book completed by June - July of 2019. This includes all writing, drawing, and designing of the book. I already have a printer picked out and have a good idea on print costs and the time it will take for printing/shipping. I will be launching a Kickstarter for this project June 1st, 2019 and should have the book available by September or October 2019. What exactly will your patronage support? The biggest thing when taking on a project of this magnitude is TIME. Your generous participation will allow me a break from my normal day job as a tattoo artist so I'll be able focus more on this project. What do I, the patron, get in return? 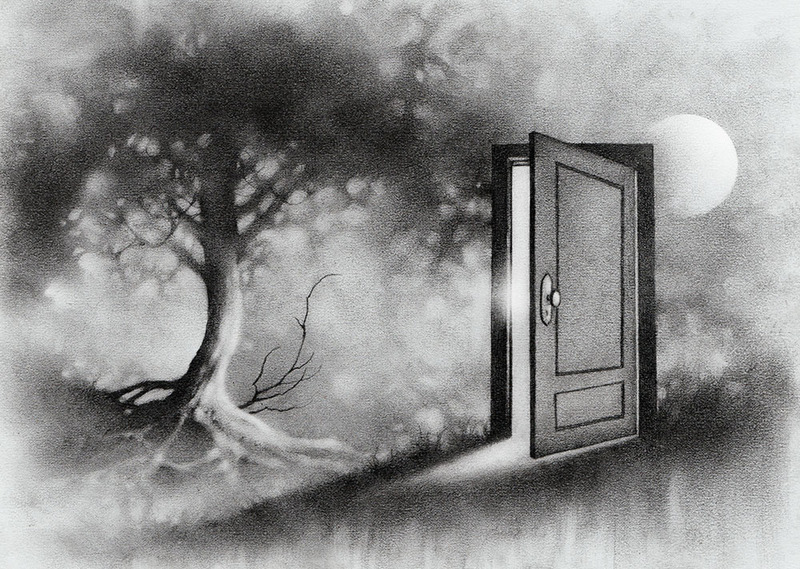 In exchange for your selfless act, I offer an exclusive 'open door' invitation to the project I'm working on. I'll constantly be posting new sketches, drawings, videos, or any other tidbit related to what I'm currently working on. And please, drop me a line and let me know what YOU would like to see in regards to IF THERE'S A WAY OUT. Oh, and if I see you in person, I'll give you a hug or high five. Seriously. Simple. It allows you to support creators directly. Other crowdfunding sites fund PRODUCTS while Patreon funds THE PROCESS. By supporting my Patreon, you are directly, literally, and graciously offering me MORE TIME to create. Casting your glims upon finished drawings from this project before anyone else. Upon publishing, all patrons will have their name printed (if desired) on a special thank you page for helping to make this all happen. Recieve 15% discount on my website for any new or existing artwork, including originals! Sketchbooks and more sketchbooks! I need it all to keep creating and you've helped me do that!! !